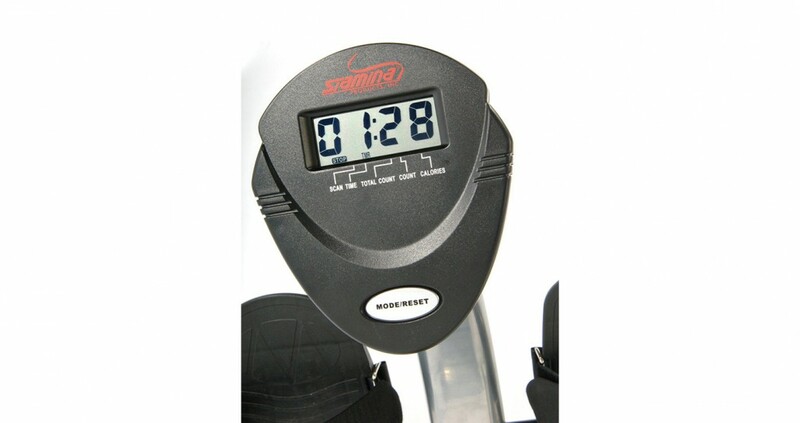 I had to review several different Stamina rowers because the company makes so many great rowing machines to fit every budget and fitness level. 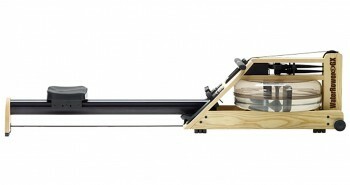 Stamina is committed to making quality machines and uses new technology to improve the rowing experience for customers. Stamina’s in-home rowers can be used to get your cardio workout as well as tone and sculpt your whole body – all while minimizing the risk of injury and stress on your joints. 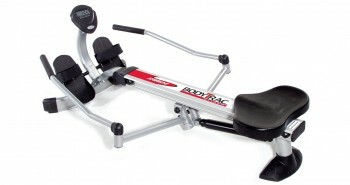 The model for this review, the Stamina Body Trac Glider 1050, was recommended to me by my sister, who uses it to work out at home. She says that if you didn’t know the price for this machine, you would think that it was a high-end rower because it performs so well. 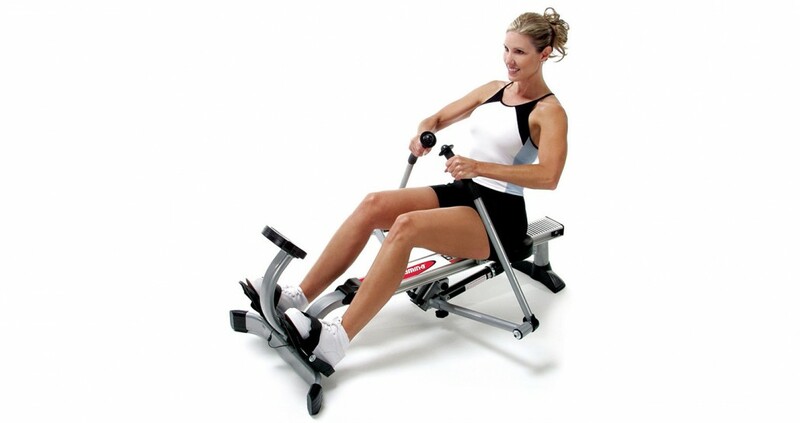 She considers the Stamina Body Trac Glider 1050 to best one of the best and most affordable rowers on the market. Let get straight into my review and see if she is right. 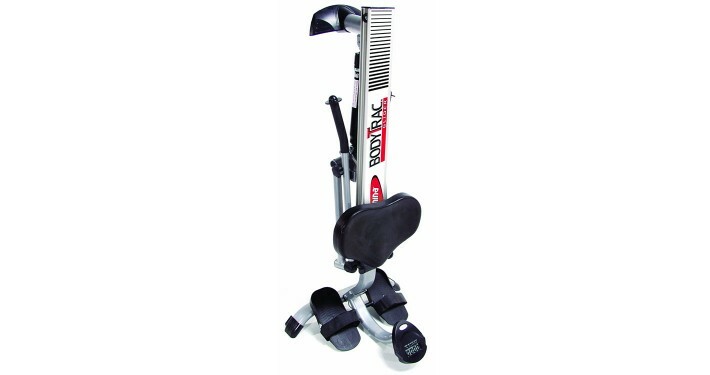 You will find a multi-function electronic monitor on the Stamina Body Trac Glider 1050. As far as monitors go, this one is pretty simple but it does give you all the essential workout data that you would expect, such as distance, speed and time. It will also show the number of calories that you burn in a workout; some rowers with monitors don’t have that ability. In any case, a basic monitor is better that no monitor at all. 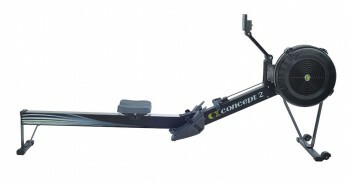 You may not be able to use preset program and record your workout data, but on a rower at this price you will rarely see those types of high-tech features. While the monitor will display only one data point (such as distance rowed) at a time, the Stamina Body Trac Glider 1050 also has a feature that will automatically change the data on display every 6 seconds. This allows you to scan through all your workout data at a glance and keep track of your performance. The monitor is battery powered, but it turns on automatically when you start rowing and turns off after a few minutes of inactivity to help conserve battery life. With a steel frame and an aluminum center beam, this is one sturdy rower that is designed to withstand years of use. 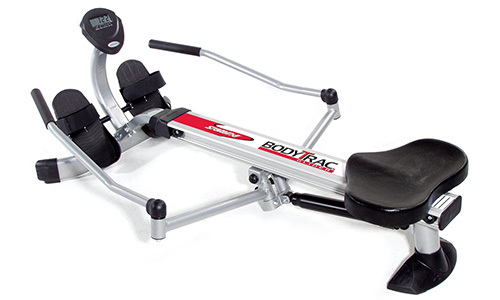 The solid construction of the Body Trac Glider 1050 will give you a comfortable and stable workout. 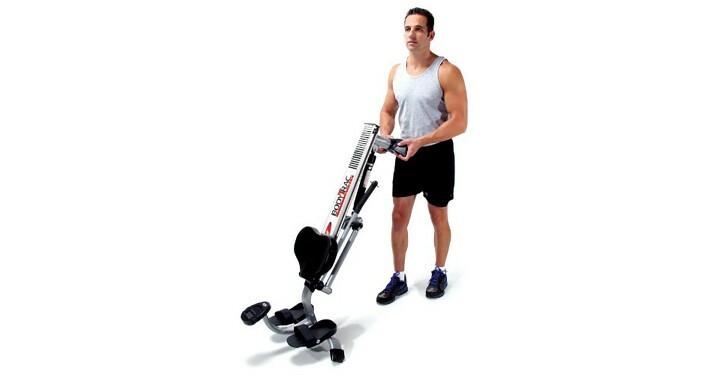 This rower has oar-like handles that give you full range of motion to mimic the action of rowing on a boat. 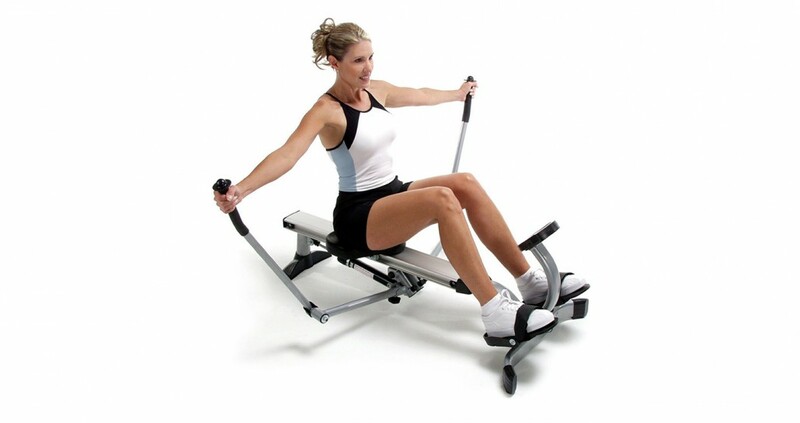 The seat on the rower is made of molded plastic and it slides on a ball bearing roller system that gives it a smooth glide. There are large foot pedals to accommodate every size foot and adjustable straps to keep your feet securely on the machine. Some users did report that the straps on the foot pedals are located too close to the top of the pedals and so they did not do a very good job of securing their feet. One possible fix for this is to install the foot pedals so that they are upside down; a few users found this solution to be helpful. People who live in small apartments like myself, will be able to appreciate the compact footprint of the Body Trac Glider 1050. It folds up to a neat size of 23.5 by 46 inches for storage, so you should be able to store it easily, even if you live in a small space. Folding the rower should take only a few minutes. Simply remove two knobs to unlock the arms, fold the oars and secure them in place with the same two knobs. That’s pretty much it. The thing I like about hydraulic piston rowers is that they are usually very quiet. 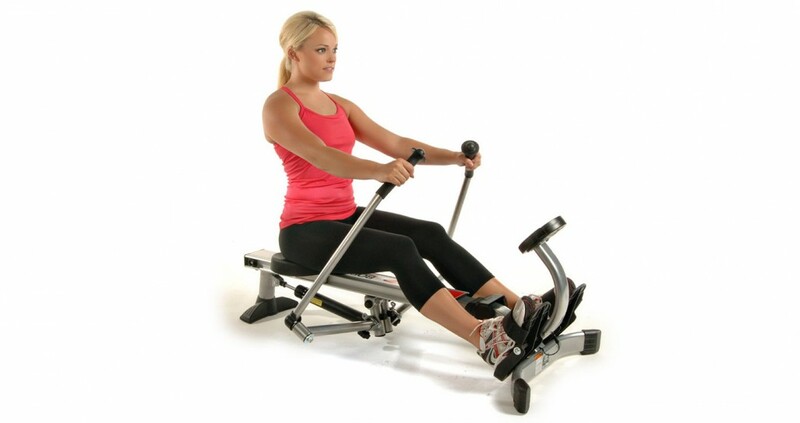 The adjustable gas shock that this rower for resistance is conveniently located just under the rower’s seat so that you can adjust the resistance level when working out. There are 12 different levels to choose from so people at all different fitness levels will be able to have a challenging workout. A common problem that I have noticed with hydraulic piston resistance rowers is that over time they tend to leak. As the gas shock for the pistons is susceptible to leaking, if you do get one of these rowers I would advise you to use a mat under your rower just incase it does leak. It is not a guarantee that it will leak, but the fact is that leaking is possible when you have a hydraulic piston rower. The shock will also get very hot after you use the machine for a few minutes, so you need to be aware of this and let it cool before you try to change the resistance level. I can see why my sister and so many other users of the Stamina Body Trac Glider 1050 like it so much. 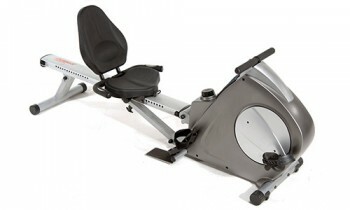 It has all the functions that you would expect from a rower, it performs well and it is affordable. There are a few issues like the possibility of getting a leak and the oddly placed foot straps but in the bigger scheme of things these are relatively small issues that should not seriously affect your workout. 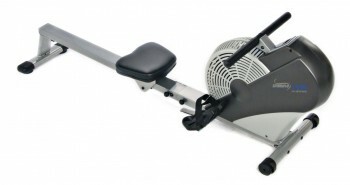 The price on this rower is affordable as well, and with a price this good, you may just be able to put up with a few minor inconveniences.